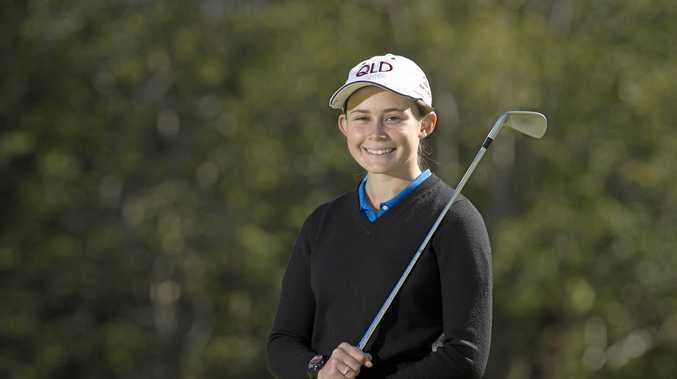 GOLF: On the other side of the world one of the Coffs Coast's brightest sporting prospects is quietly working away at achieving her dream. From a young age Darcy Habgood has roamed golf courses, meticulously working on her game in order to one day be a force in the sport. "I want to be a professional female golfer playing on the LPGA tour some day,” Habgood said from her new base in the US. Habgood made the long trip across the Pacific in December after being awarded a scholarship to Washington State College for four years. It's an opportunity the 19-year-old jumped at, knowing how beneficial immersing herself in a golf environment would be. "College golf in the US is an awesome way to improve your game, no question,” she said. Habgood said she's already met lots of great people, though admitted it was taking her longer than expected to get accustomed to the American way of life. Habgood's father Paul, who is the club professional at Nambucca Heads, isn't surprised how far his daughter's commitment has taken her. "It's something we always had planned, it was a natural progression for her to go over there,” he said.